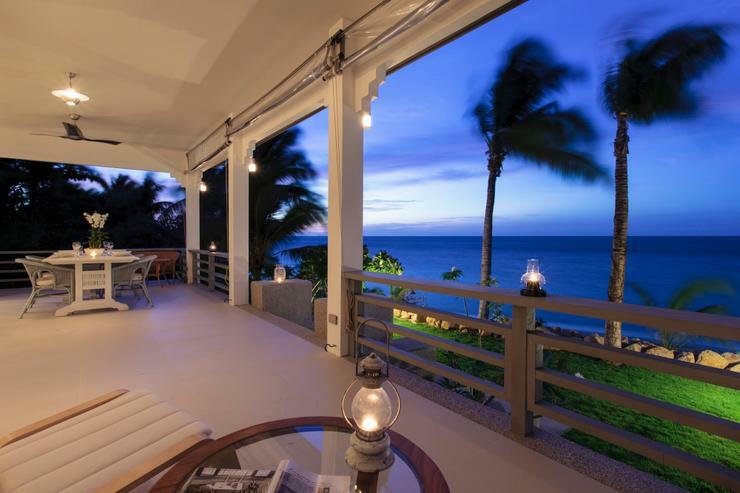 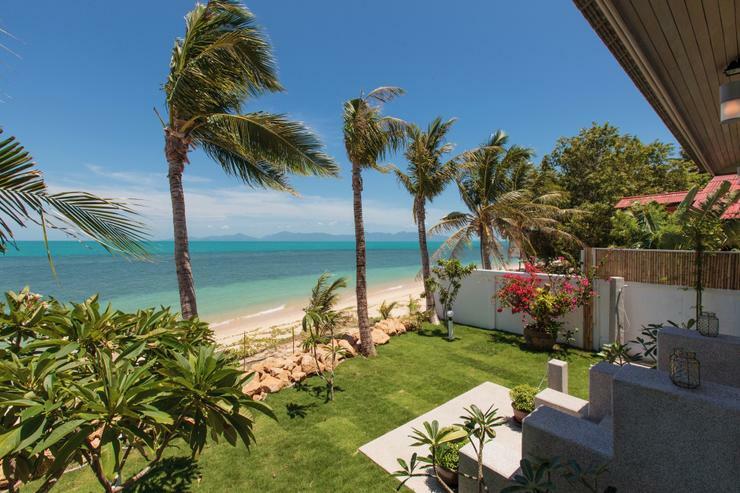 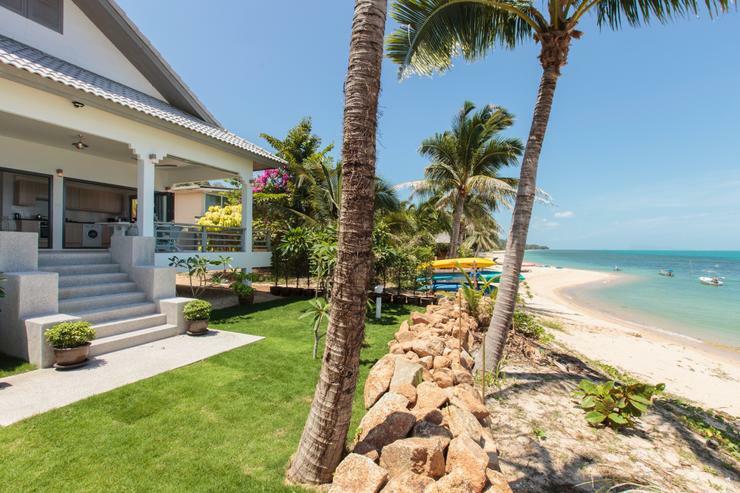 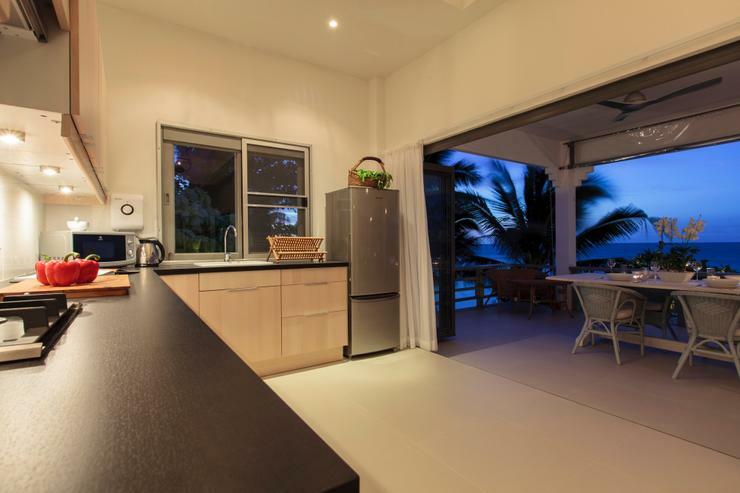 This beautiful beach house offers a rare opportunity to stay in a little piece of paradise situated right on the white sands of Bang Por Beach, in the more secluded North Eastern coast of Koh Samui. 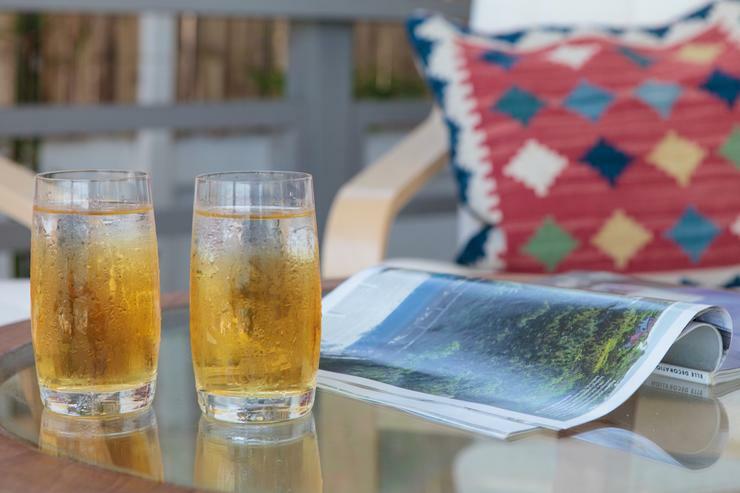 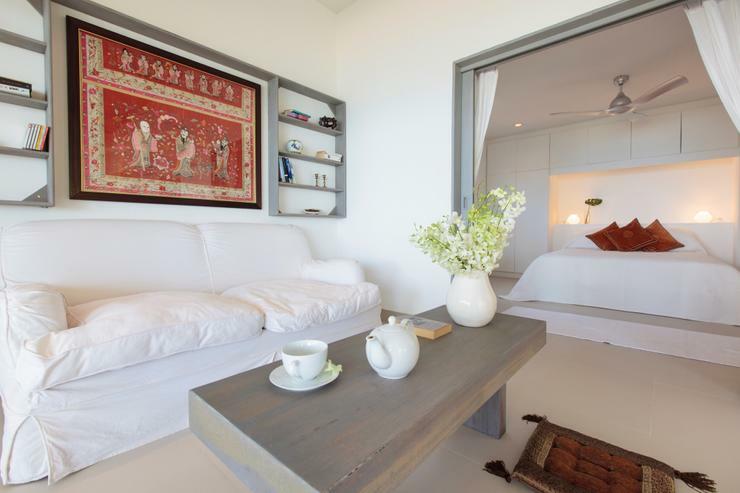 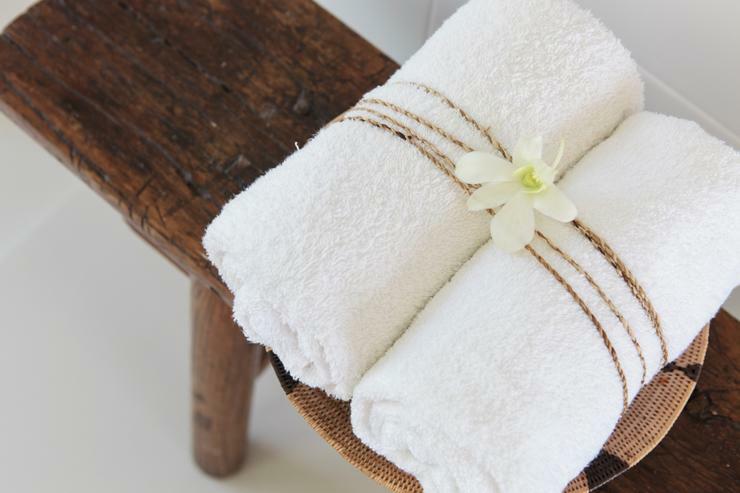 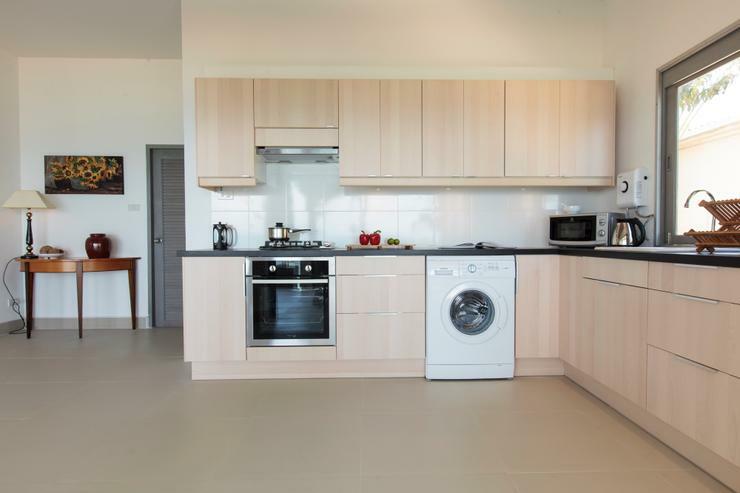 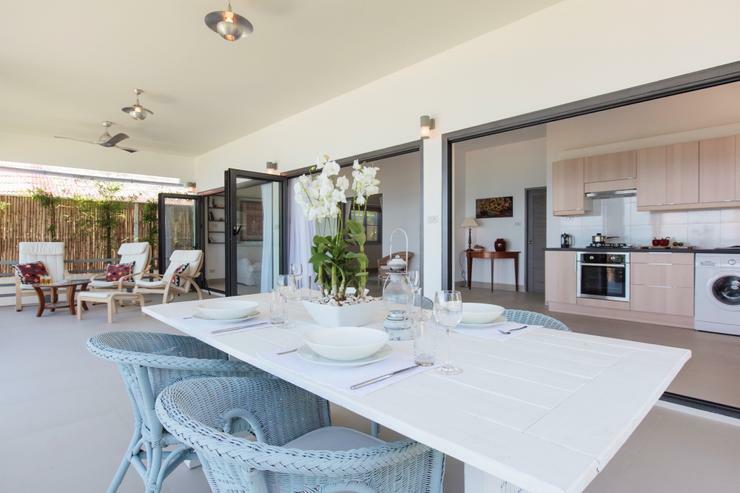 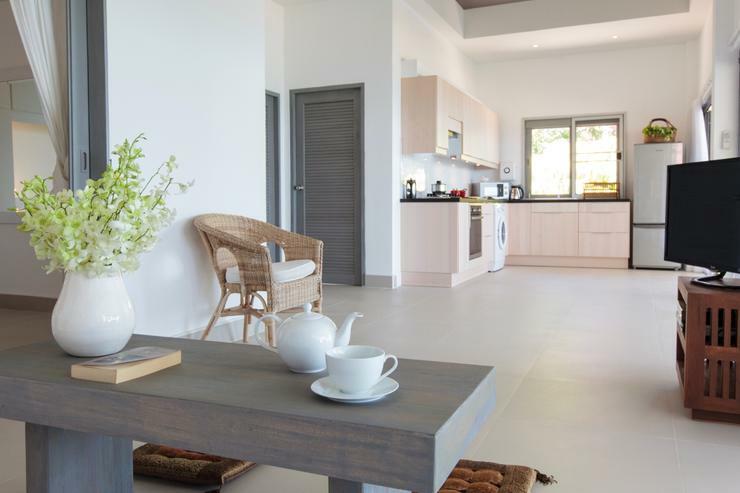 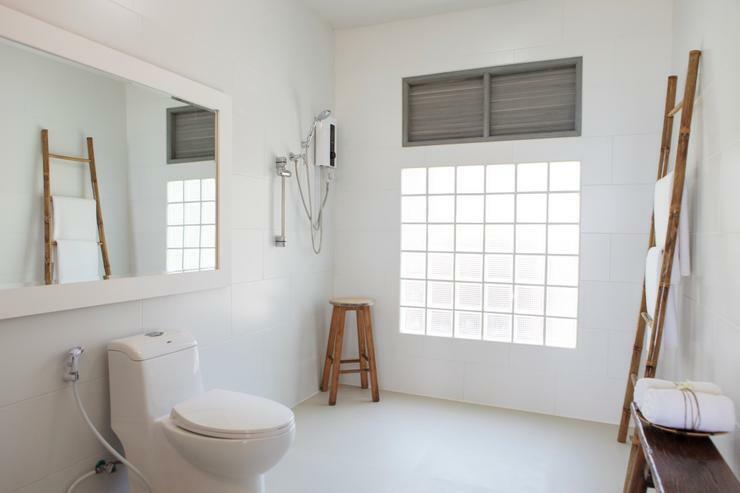 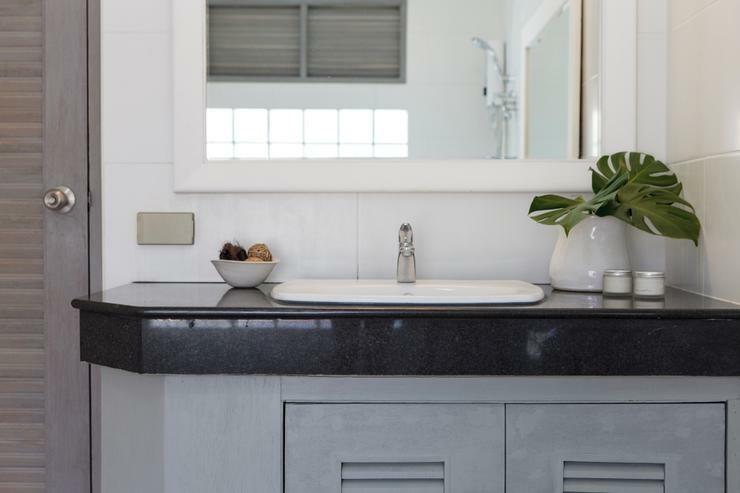 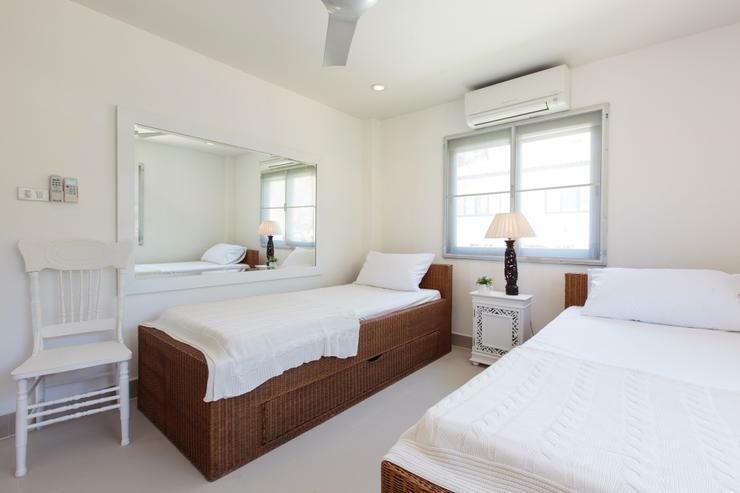 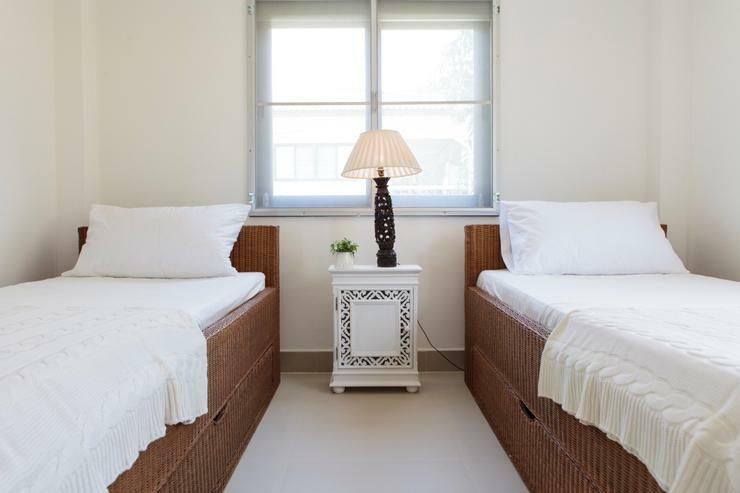 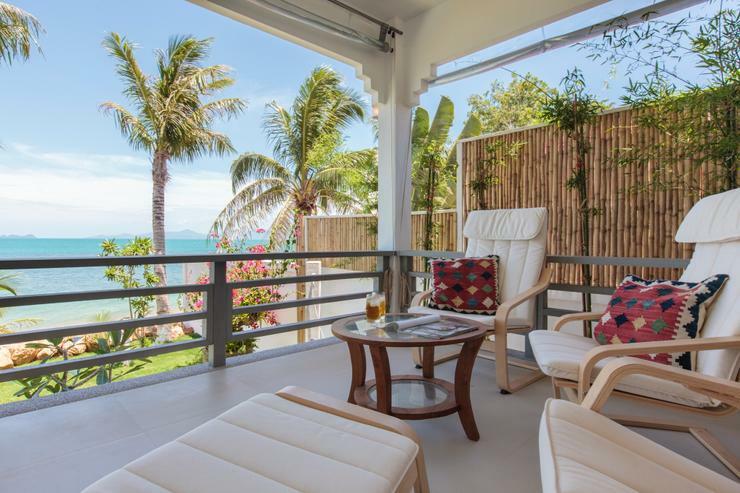 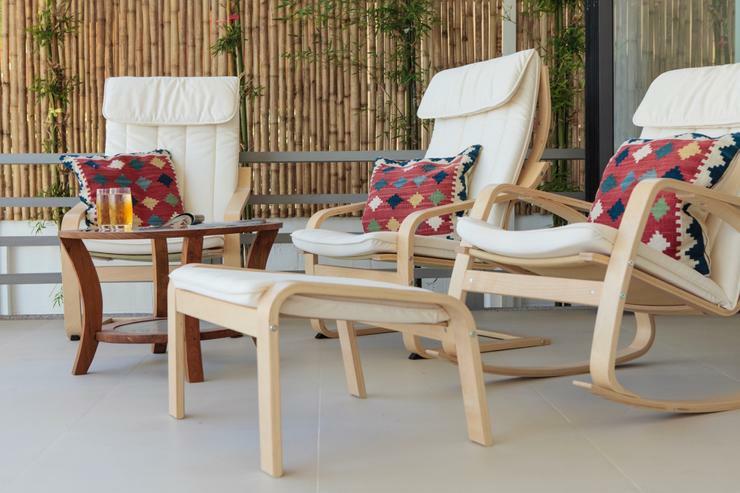 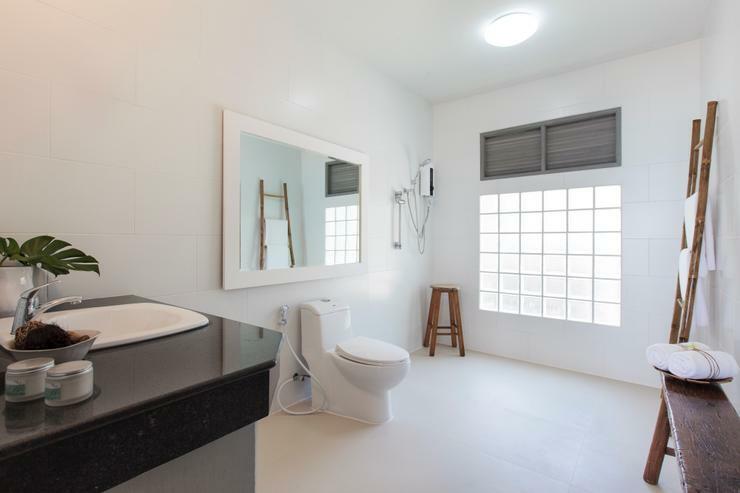 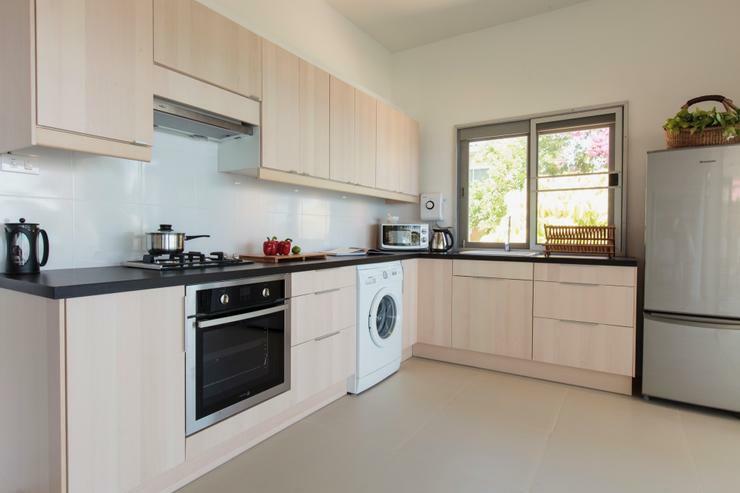 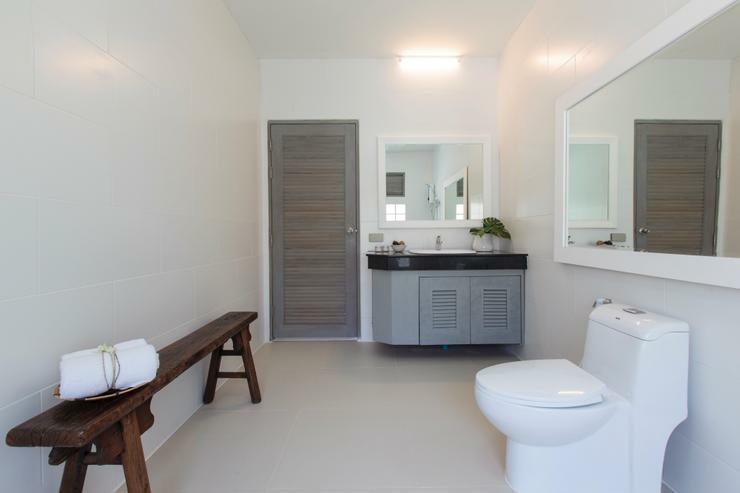 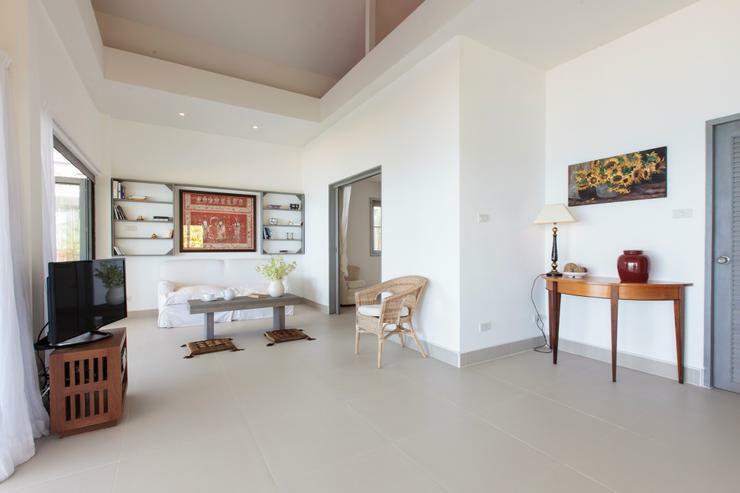 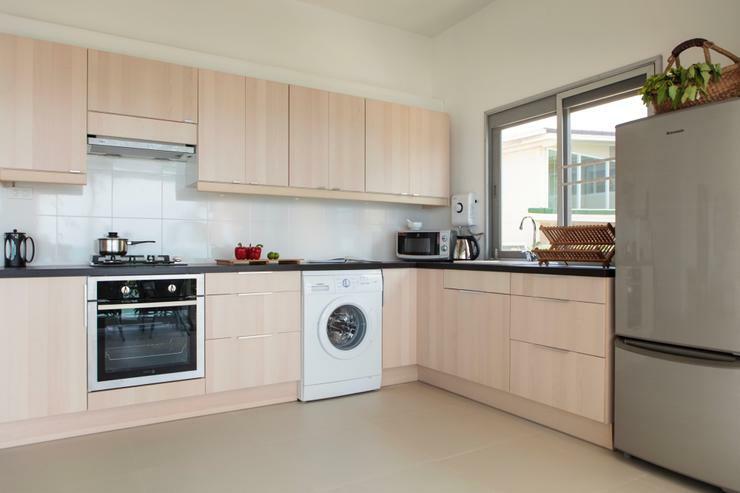 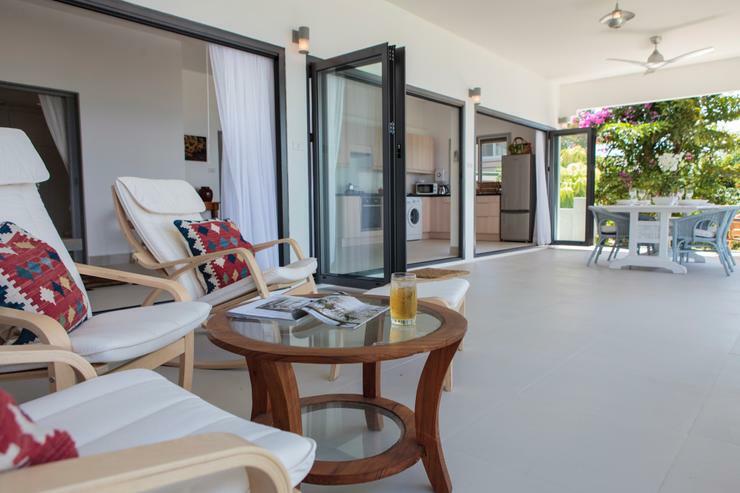 The two bedroom luxury residence is light and airy and its beach-front location benefits from the cooling sea breezes off the Gulf of Thailand. 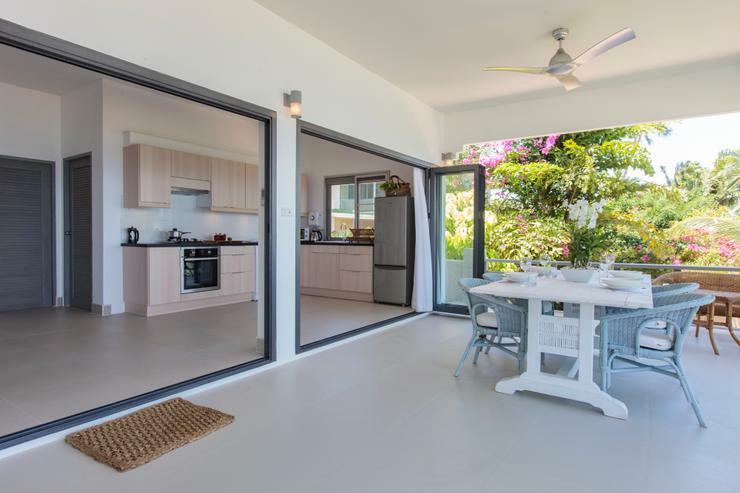 It's tropical gardens are are full of exotic plants and the lovely birds they attract. 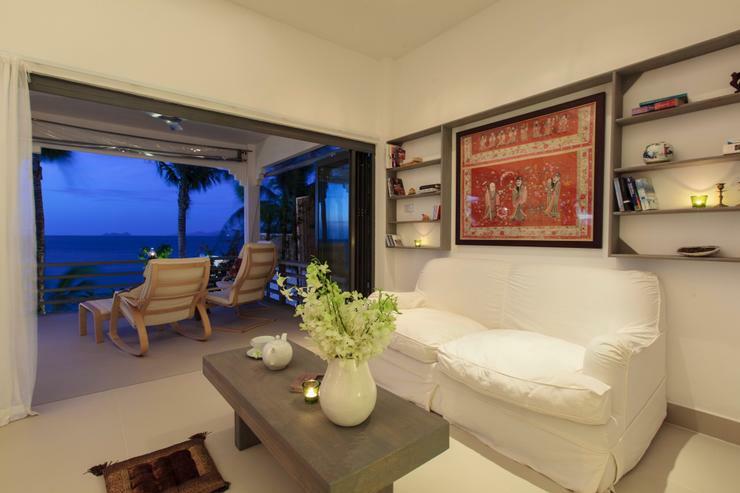 The house offers a happy fusion of Thai style and European comfort. 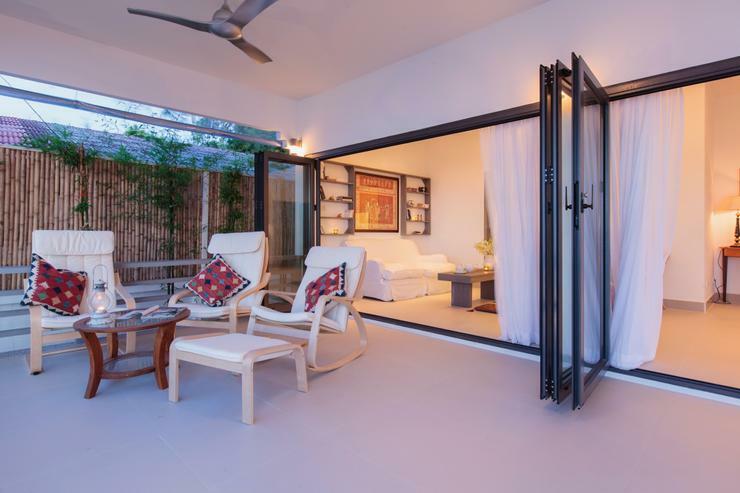 The living room has vaulted ceilings for coolness and provides a comfortable retreat for watching television and videos in the evening. 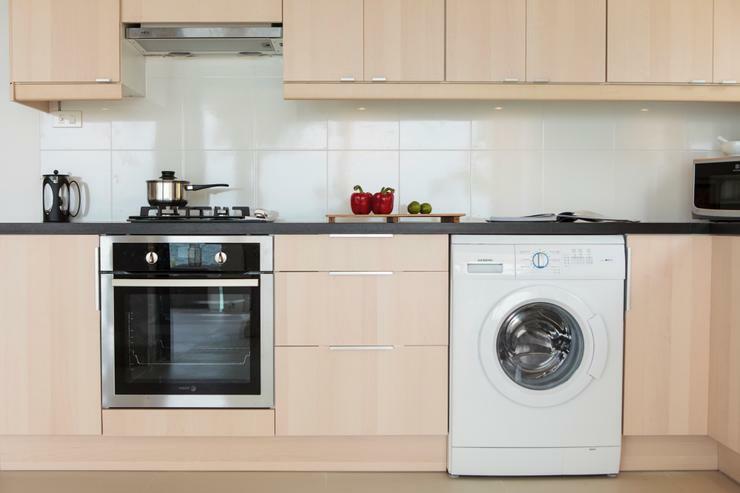 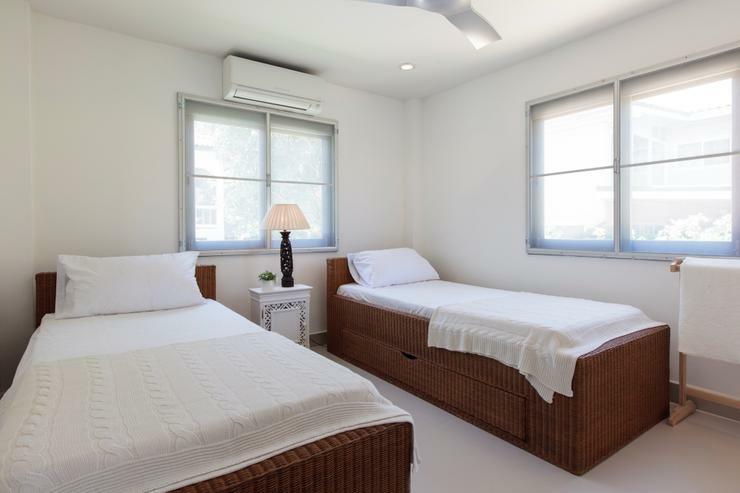 Smart TV, video recorder, WiFi and internet are provided. 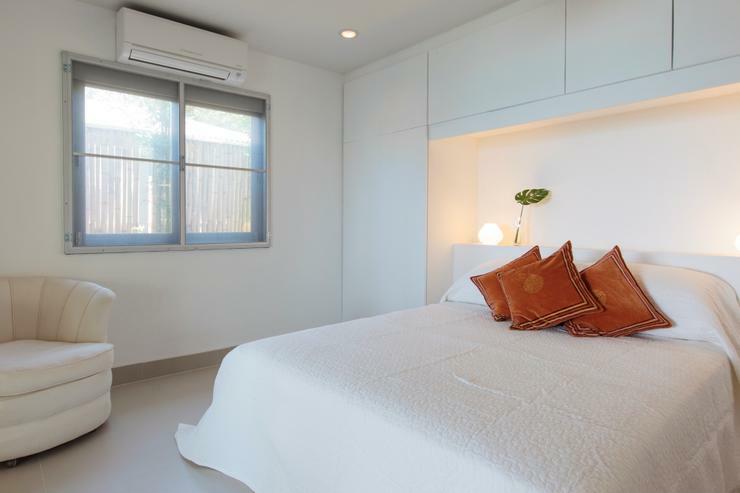 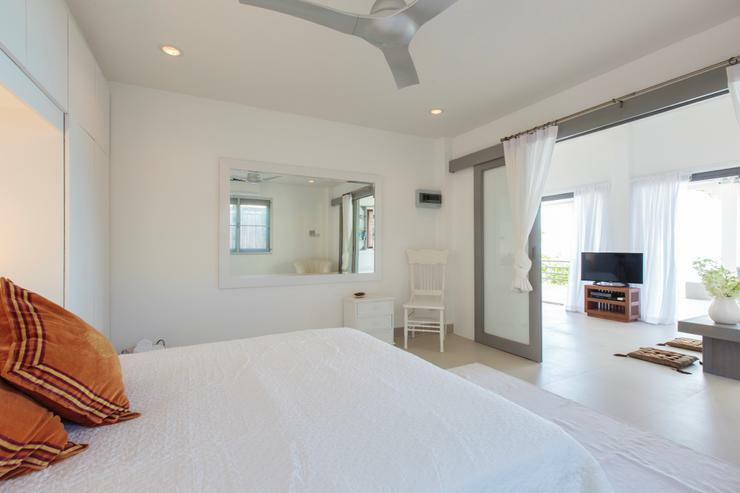 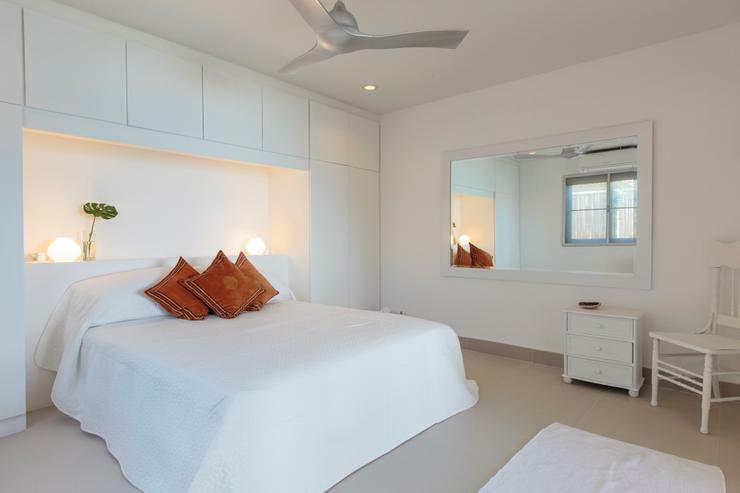 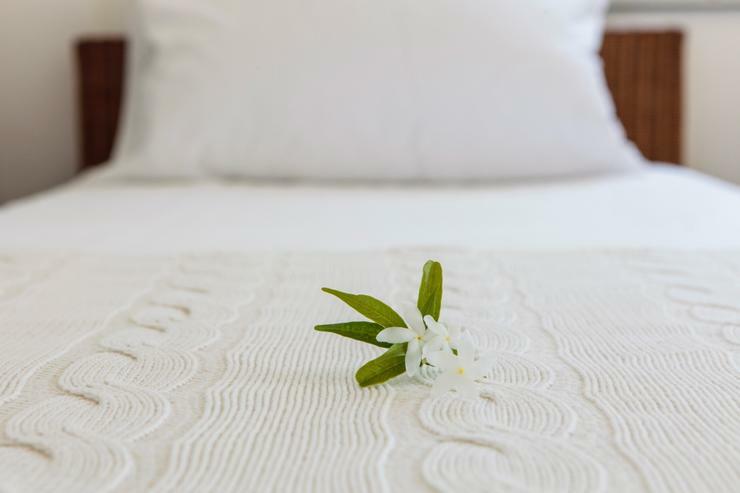 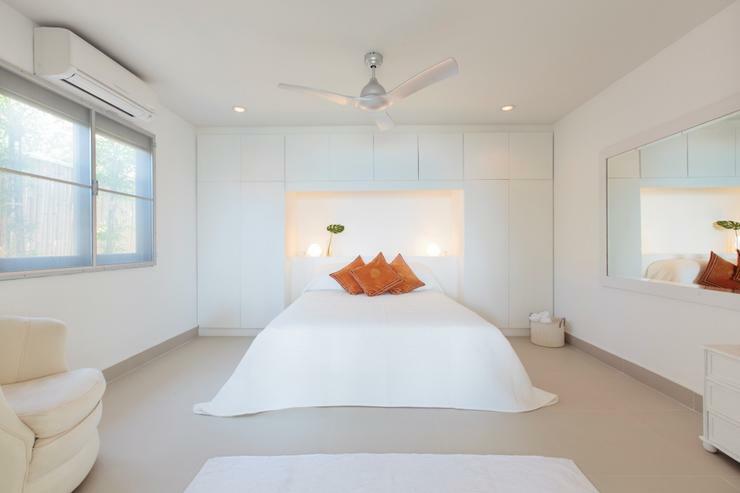 The bedrooms offer cool, crisp comfort for tropical nights with a choice of fans and air-conditioners available. 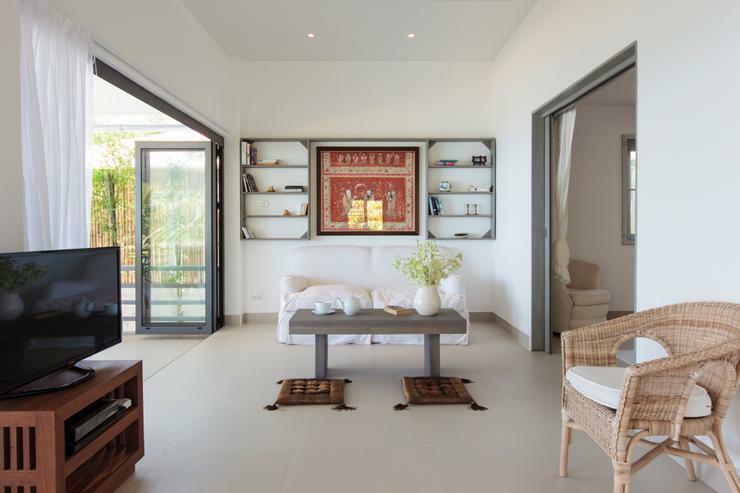 Doors along the front of the house glide away to link the living areas with the large terrace. 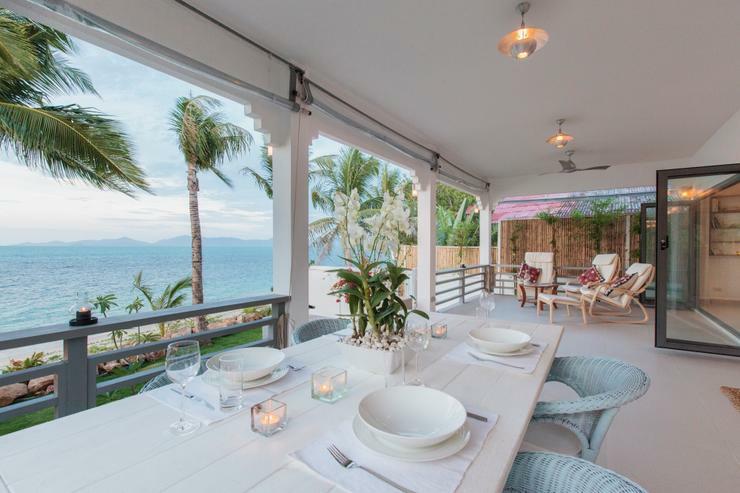 From here you can sip evening cocktails while watching Samui's amazing sunsets, and gaze out over the water to the outlying islands. 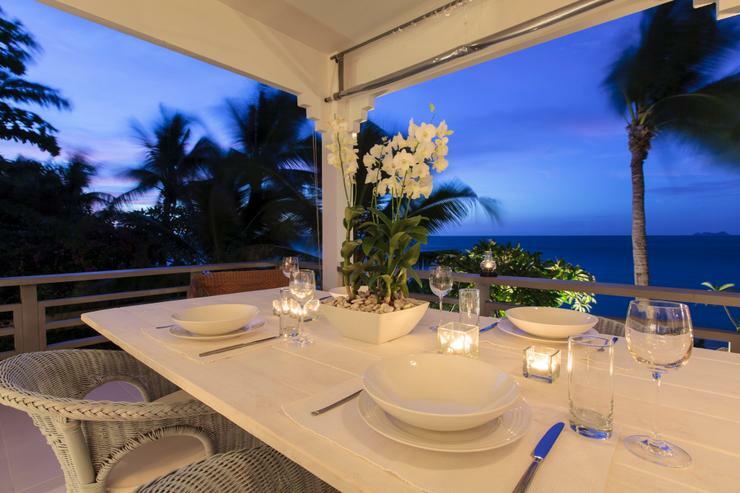 This can be followed by candle-lit dinner on the terrace, or a stroll along the beach to one of the first class restaurant's nearby. 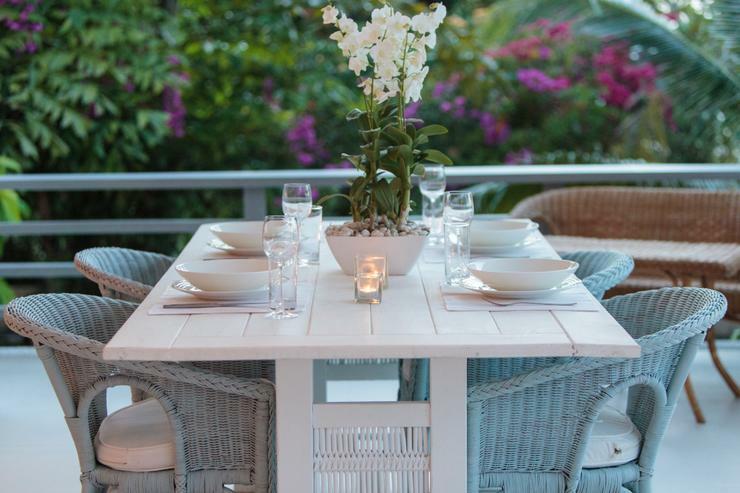 Our staff can also provide catering or a fun beach BBQ. 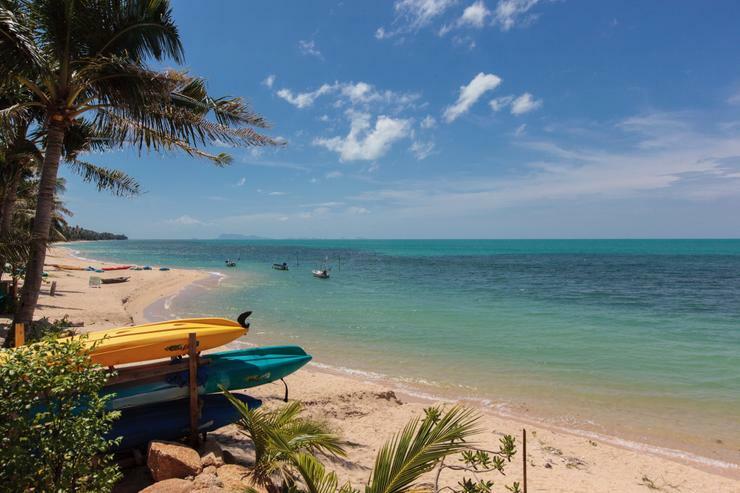 Bang Por is a quiet and uncommercialised beach, Fishermans Village, Chaweng and Santiburi Golf Club are 15, 30 and 10 minutes drive from the house. 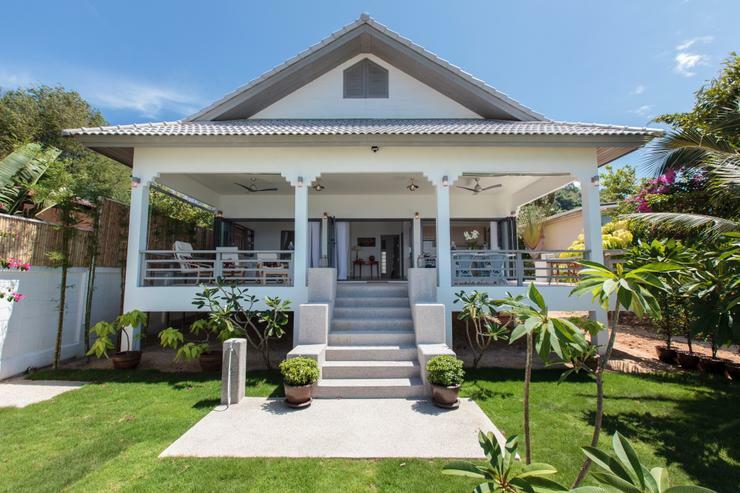 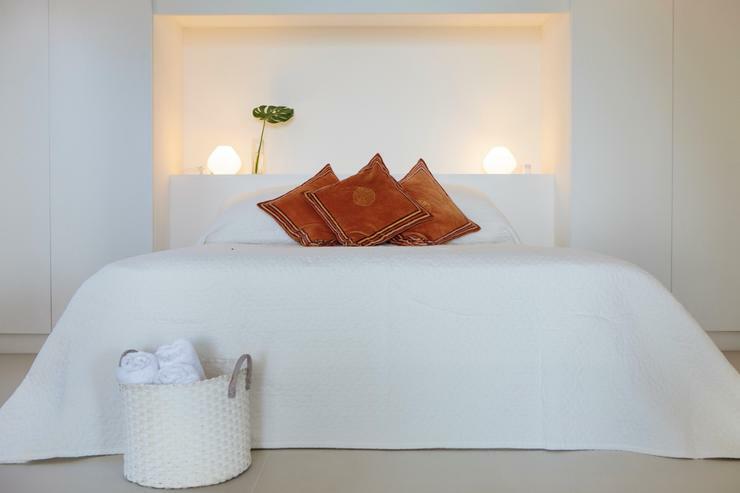 Located in Bang Por, Koh Samui. 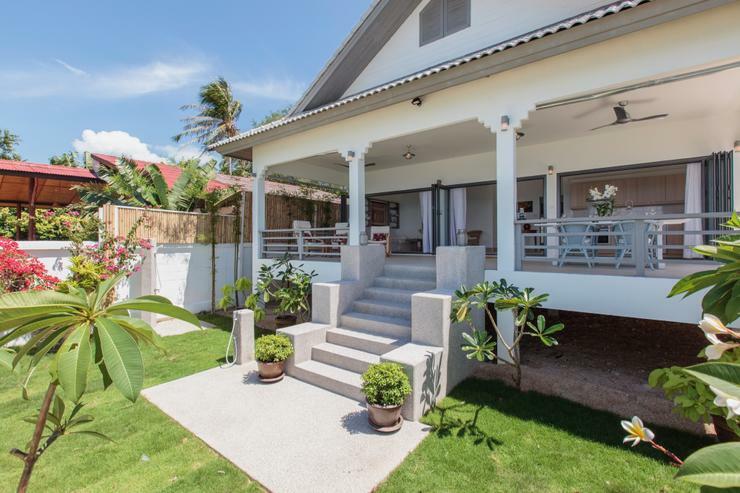 Banyan Villa 1 is a in Thailand.